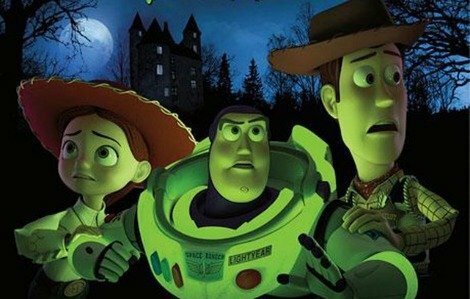 See the trailer for the brand new Disney Pixar Toy Story Halloween TV Special – Toy Story of Terror! We’re gigantic Pixar fans at Fun Kids and we’ve been giggling with excitement ever since they announced we’d be getting another Toy Story this year. It’s going to be a 30 minute special instead of a full length film and it’s called Toy Story of Terror! It’s coming out on Halloween so it’s meant to be pretty spooky too. The toys go out on a road trip with their new owner but one of them goes missing in a creepy hotel. You can see everything that happens when Toy Story of Terror is shown on Sky Movies Disney in the UK. They haven’t announced a specific date yet but it will be some time in October! Are you excited about the new Pixar film? Let us know in the comment box below. Also, if you’re a big Toy Story fan then you should check out the video below. Someone’s recreated the first film using real toys and it’s brilliant!